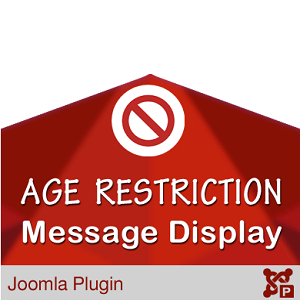 A fantastic plugin that allows you to display age restriction message to the visitors while visiting site. 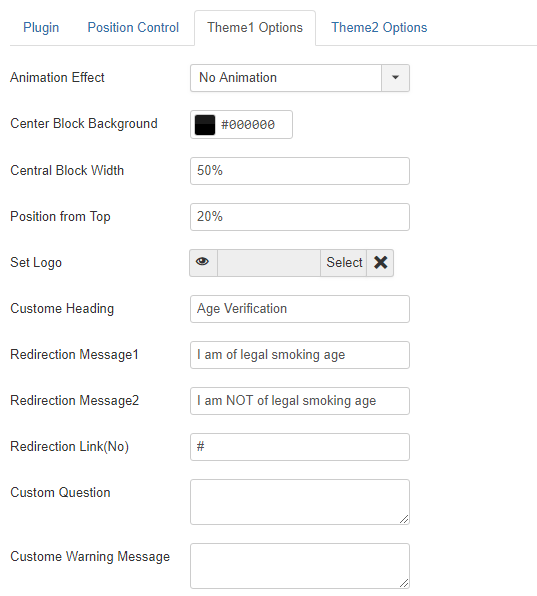 Display message in multiple pages, You can set custom menu items where(which pages) you want to show this message. 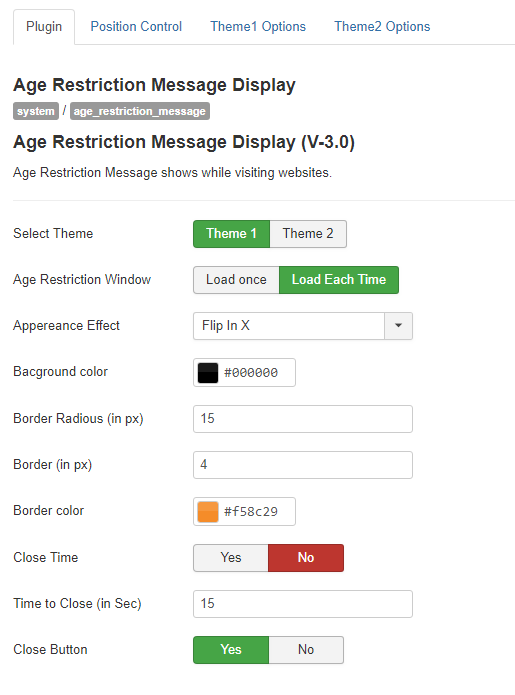 Two Custom Themes are available in this plugin. 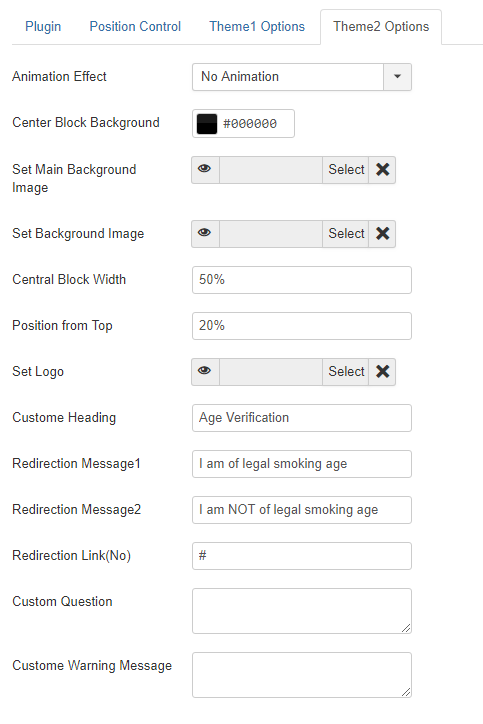 Amazing user interface and fully customizable .